This review paper sets out to explore the question of how future complex engineered systems based upon the swarm intelligence paradigm could be assured for dependability. The paper introduces the new concept of ‘swarm engineering’: a fusion of dependable systems engineering and swarm intelligence. 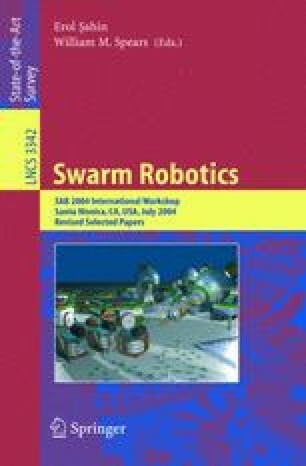 The paper reviews the disciplines and processes conventionally employed to assure the dependability of conventional complex (and safety critical) systems in the light of swarm intelligence research and in so doing tries to map processes of analysis, design and test for safety-critical systems against relevant research in swarm intelligence. A case study of a swarm robotic system is used to illustrate this mapping. The paper concludes that while some of the tools needed to assure a swarm for dependability exist, many do not, and hence much work needs to be done before dependable swarms become a reality.